A pair of stylish diamante cufflinks that can be personalised with initials. 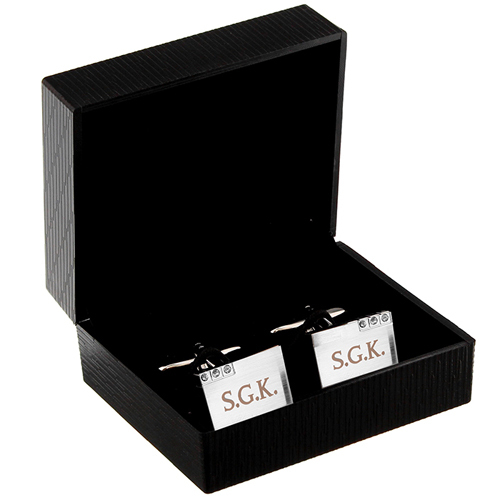 These cufflinks are offset with 3 crystals can be personalised with 3 initials and 3 full stops. What's more they are presented in a gift box. Personalise with upto 3 initials and 3 full stops.